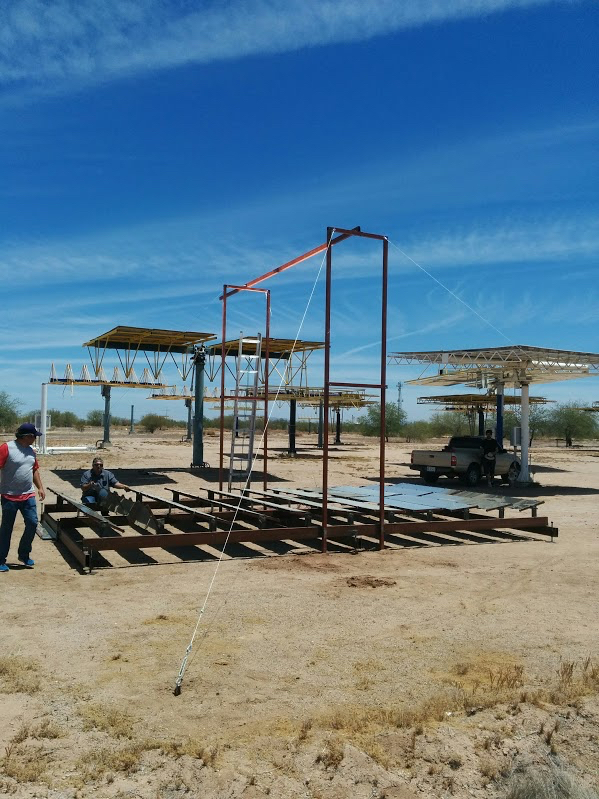 Students and a professor from the University of Michigan in Ann Arbor have worked with colleagues at the University of Sonora in Mexico to develop a prototype solar-powered single-stage distillation unit that desalinates water. In arid coastal regions, water sometimes has to be trucked in because seawater leaches into depleted wells. The prototype unit can distill 150 liters per day and can be scaled up to 3,000 liters of water per day, equal to five truckloads of fresh water. “We developed this product with a particular community in mind, but we realized that it would be good for a number of communities,” says Jose Alfaro, an assistant professor at U-M’s School for Environment and Sustainability. The system was designed for Tastiota, Mexico, a small village in the Sonoran Desert that had been trucking in its water from a source more than 62 miles away. After distillation, the brine that is left over can be converted to salt and sold to nearby businesses. Other markets for the desalination unit include the global sunbelt located several degrees above and below the equator, as well as hotels in coastal communities. Pablo Taddei, who graduated from U-M with a masters degree in sustainable systems in 2017, is a native of Hermosillo County in Mexico, which is a region along the Sonora coast. He and Iulia Mogosanu, who graduated in the spring with an MBA degree, were both interested in the energy industry and alternative uses of renewable energy technologies. Hermosillo and many coastal communities have been experiencing severe water scarcity due to saline contamination of the wells, which is further aggravated by arid conditions as well as rising temperatures and low precipitation caused by climate change. “I realized that the potential of such a solution had far-reaching implications globally. It was clear to me that the commercial potential of this idea was scalable to different conditions in different regions of the world,” says Mogosanu. Because of the humanitarian nature of the project, its leaders could appeal to foundations for money as well as attract venture funding. Funding has come from the Center for Sustainable Systems, the Energy Institute, and the Erb Institute, with seed funding from the Graham Institute. The prototype was built and tested with help from the University of Sonora in Hermosillo. “Professors and students there have been key in our ability to develop the project, and most importantly, in physically putting it together,” says Alfaro. Alfaro traveled to Costa Rica last month to determine whether there are communities that might benefit from the unit there. Working with a United Nations official, he plans to run a pilot program on a small island where water is brought in by boat. To work, the area needs direct sunlight, a good governance system around the water that would run the desalination units after initial setup by Alfaro’s team, and a need for potable water. The team also plans to market to communities in West Africa, Peru, and Chile.